In many ways, the XZ2 and XZ2 Compact are a logical and incremental step up over their direct XZ1 and XZ1 Compact predecessors. A beastly Snapdragon 845 chipset powers both, HDR support is added to the new panels and video recording. Everything is now either bigger, louder or with more pixels. On the flip side, Sony is taking a bold step forward in design, with plenty of polarizing potential, especially among long-time fans. 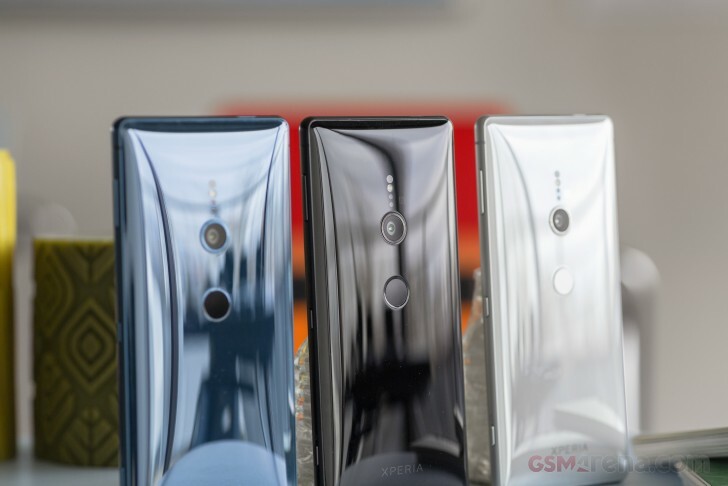 Simply saying that the Xperia XZ2 pair looks different from its predecessors would be a major understatement. If you thought Apple was courageous for ditching the headphone jack, just join us on the following pages, as we take a closer look at the major visual overhaul Sony has undertaken. Be sure to leave you feedback in the comments as well, as we are genuinely interested in the reception. Body: Aluminum frame, Polycarbonate back, Gorilla Glass 5 front; IP65/68; 135 x 65 x 12.1mm, 168g.